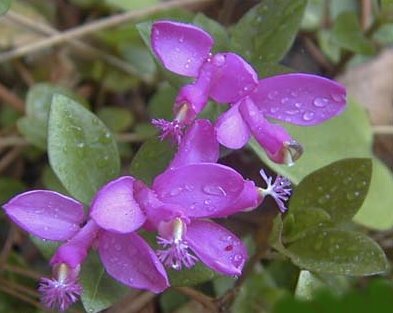 Gaywings or Fringed Polygala is not an orchid but a member of the milkwort family. This May flower looks a lot like a violet. 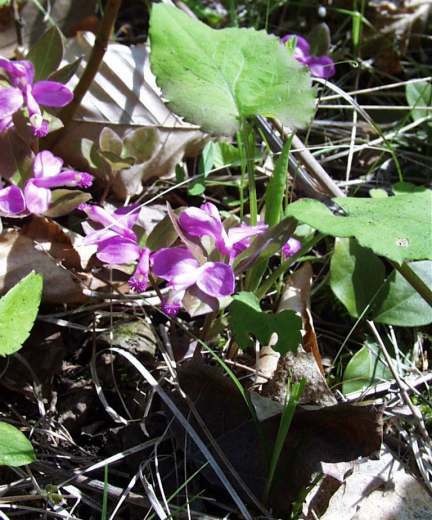 Four leaves are arranged around the base of the flowers and the two flowers are carried on an almost leafless stem.